Although its original, digital gifts solution went down like a lead balloon, Facebook has placed much emphasis on its intention to offer a streamlined gift services to its 1.06 billion active user base. The social network enjoyed a very successful last quarter, and although there was little in terms of an update on the state of play of the Facebook Gifts during yesterday’s earnings report, Mark Zuckerberg and Co. have been busily preparing the foundations for a fully-fledged assault on the associated market, manifested by today’s launch of the Facebook Card. The gifts market is certainly a lucrative one, and with so many users remaining connected with friends, family, and associates via the Facebook platform, the company is now really looking to cash in. 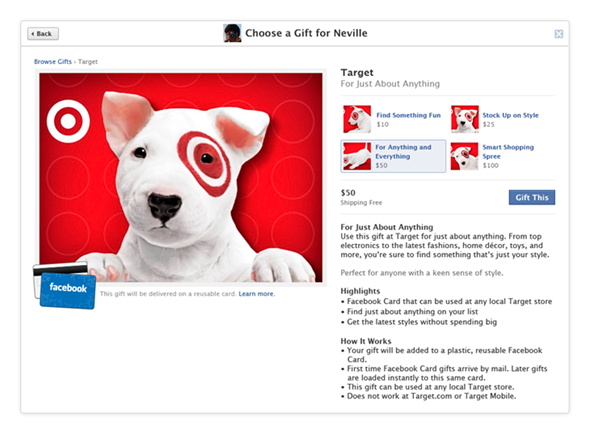 The Facebook Card, which to all intents sounds more like a credit card replacement than anything else, is touted as a "new type of gift card", and will begin roll out gradually to users across the United States. The card provides an all-in-one solution for those holding store credit for a bunch of different merchants. It’s linked in with Facebook Gifts, and the company has already teamed up with Jamba Juice, Olive Garden, Sephora and Target as launch partners. 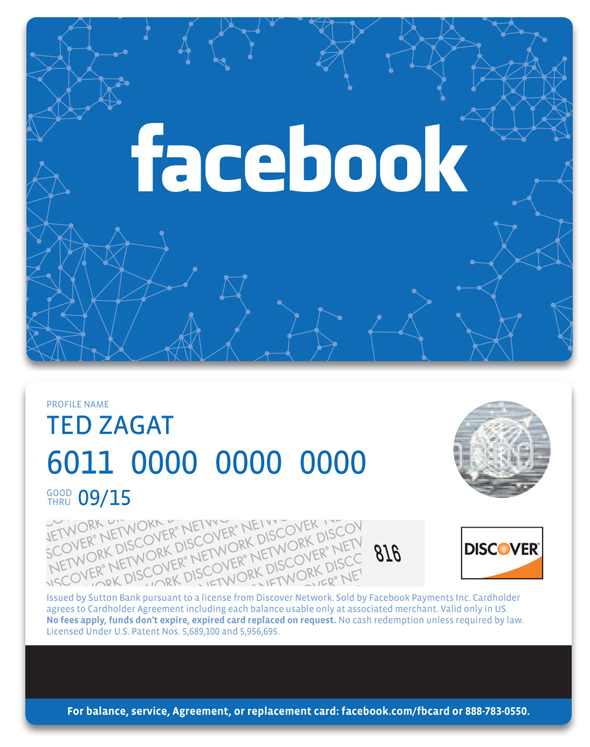 The Facebook Card can hold separate balances for each respective merchant, and aims to lessen the necessity for holding multiple vouchers and cards at any given time. While consumers may not necessarily be sold on the idea, the real test will be whether the merchants subscribe. 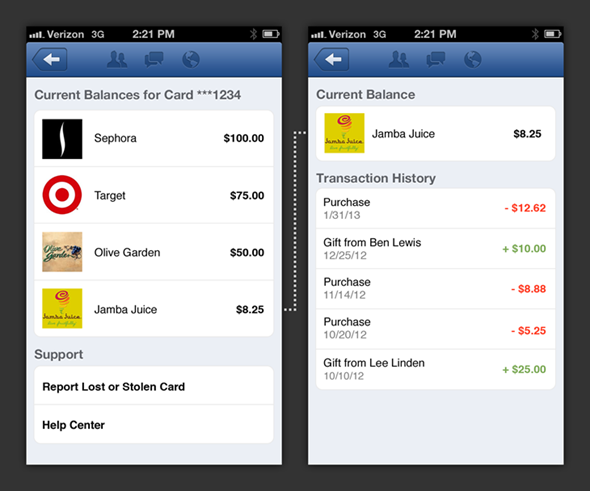 Having the likes of Target and Sephora on board is a good start, although said companies tend to jump on the new service of the day (both were quick to jump on the Passbook bandwagon), Facebook has the kind of influential brand to which even the big companies will wish to associate. I can certainly see the potential of the Facebook card, and it seems a beneficial venture for Facebook, merchant, and consumer alike. There will be skeptics, of course – particularly as it presents the social network with even more information about its users. But having initially struggled somewhat following the big IPO, the company is gradually increasing both user and business dependence on its services.